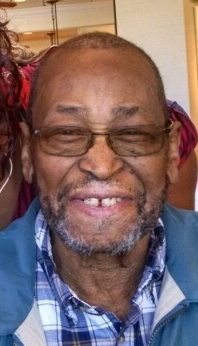 OZEN NICHOLSON SR. age 90 of Cleveland, Ohio, beloved husband of Mamie, devoted father to Richard (JoAnn), Linda Hunter (John) and Ozen Jr., aka Junebug and the late Dennis (Colleen), Raymond, and Alice, Loving grandfather to Tameka Johnson (Peter) Richard Jr. (Angie), Kieya Hill (Michael), Antonyo Spight, Erika Sherman (Roderick) and Jennifer Lewis, Jessie, Daniel and Melissa Nicholson and Michael Craighead. Great grandfather of twenty. Two sisters in Love Tennie Chatton and Dorothy Chatton. Three sisters and two brothers preceded him in death. He also leave to mourn a host of nieces and nephews, cousins and friends. Ozen passed away on Saturday January 26, 2019. Funeral services will be held on Saturday February 2 at 10:00 a.m. at the Mt. Zion Baptist Church 572 Pearl St. Berea, Ohio 44017. Visiting hours will be on Friday from 6:00 – 9:00 p.m. at the church.